Today’s Japan faces a huge financial deficit and many social challenges including decreasing birth rate and aging population. We find ourselves in the position of a “developed” country in terms of seriousness and degree of social problems which other countries will one day face. It means that if we find solutions to these pressing issues with innovative way, we may help other countries solve similar problems in the future. We believe that, among others, the first and upmost priority is to innovate the society through upgrading the role and abilities of non-profit organizations and social businesses. And of course, fundraising is the key to upgrading the social sector in the Society. In 2015/2016, thanks to our members and partners’ tireless efforts, we could see significant progress in some areas. First, we succeeded to establish two important platforms in 2016, namely, “The Japan Legacy Gift Association” and “The Social Impact Evaluation Initiative”. 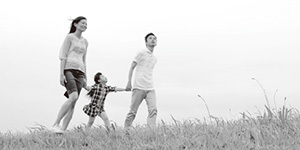 The Japan Legacy Gift Association provides support to donors interested in leaving Bequest through 16 free advisory service stations nationwide and offer ethical standards and training opportunities for nonprofit organizations. Second, in December 2016, we brought a new law enacted for use of dormant accounts for social causes. Dormant accounts stand currently worth more than 80 billion yen ($877 million) annually in Japan. Third, the number of professional fundraisers are being increased and they become more influential in the Society. 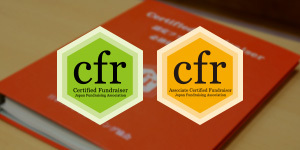 2,900 fundraisers have started Certified Fundraisers’ training program since 2012 and 960 of them obtained the “Certified Fundraiser” License. Six regional Chapters in Japan are working as vehicles to accelerate collaboration among fundraisers. 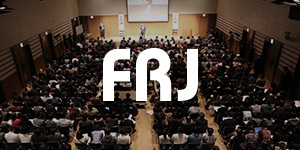 Our annual fundraising conference (Fundraising Japan – FRJ) received 1,400 delegates in March 2017. All these demonstrate recognition and popularity of “fundraising” in the social sector. Further, our challenge to expand “Learning to Give” program to kids entered a new stage in 2016. The new education guidelines stipulate the importance of philanthropic education. Thanks to the support from Nippon Foundation, we take initiatives in promoting philanthropic education in Japan. We will establish a mechanism to expand the program throughout the country. We will endeavor to continue these efforts to innovate our Society in close partnership with all the participants in the Society, i.e., Non-Profit Organizations, Governments, Businesses and Academia. The latest trend of Japanse Giving market’s infographics are able to down load now. “Giving Japan 2012” has been published in English version! providing learning opportunities for fundraisers, and publishing of Giving Japan. All of these initiatives will promote philanthropic giving in Japan. Postal transfer is preferred for all remittances, although bank transfer is available. Please contact us (info@jfra.jp /+81-3-6809-2590) for more details. For more information about the Japan Fundraising Association, please feel free to contact us. copyright 2014 Japan Fundraising Association all right reserved.